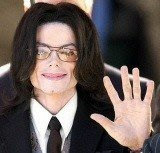 Michael Jackson Is No More..
TMZ is reporting that Michael Jackson has died of cardiac arrest. Paramedics were called to his home this afternoon after the singer stopped breathing. When they arrived, he had no pulse and after repeated attempts to revive him, he was pronounced dead. Jackson's songs were featured on a number of different movie soundtracks over the years, and as an actor he appeared in the film The Wiz. Of course we'll never forget his extended music video for Thriller, directed by John Landis. Though he's had his share of problems and controversy over the years, it's sad to hear that one of the great pop-culture icons of our generation has passed on. He was 50. UPDATE: The LA Times now confirms through law enforcement officials that Jackson passed away after arriving at the hospital in a deep coma.